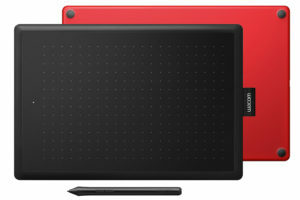 Drawing tablets like Wacom Cintiq are very popular amongst digital artists. They have a lot of useful features which makes the drawing process convenient. Shortcut buttons are one such feature that artists really like. Some, drawing tablets like Wacom Cintiq Pro do not come with buttons on the tablet. Whereas, there are other tablets in the market which has just a few buttons – which is not sufficient in most cases. 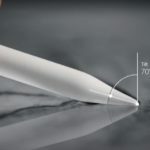 Wacom has its own shortcut button accessory which smoothly integrates with their Cintiq devices. The Wacom Expresskey remote may be very convenient but costs a fortune considering it is just a box with buttons. 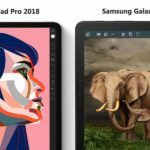 On top of that – they are not recommended for non-Wacom devices(detail discussion below). We are going to look into some of the best Wacom Expresskey Remote alternatives – which are not only cheaper but also come with their own unique features. 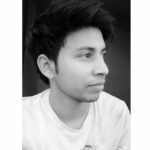 The best alternative to Expresskey remote. It is way cheaper and has all the features, including wireless connectivity and dial. One of the most customizable expresskey setup, which could be used with wide variety of applications. A total of 48 buttons with advanced customization options makes it the ultimate shortcut accessory. Xp pen AC19 is the only true competitor to the expensive Wacom Expresskey remote. It has a total of 10 buttons and a dial. All the buttons are customizable and work with almost all the drawing applications. The rolling dial makes small clicks on rotating, which feels very satisfying and overall give a high-quality feel. The dial allows you to zoom, rotate, pan, scroll and change the size of the brush or eraser. The buttons in the middle of the dial switches between different modes(rotate, zoom etc.). 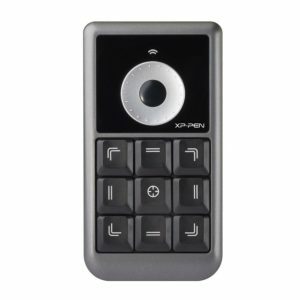 The Xp pen shortcut remote connects to your computer wirelessly using USB wireless receiver. There is a cutout at the base of the remote to store the USB receiver when not in use. Unlike Wacom, Xp pen AC19 shortcut remote comes with its separate driver, which means it can be installed on any computer and does not interfere with the drivers of the other drawing tablets. 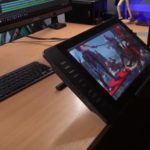 It allows you to use the shortcut remote with any drawing tablet – be it Wacom Cintiq, Huion, Xp pen or any other brand. The remote uses a AAA non-rechargeable battery. Although the battery lasts a very long time – a rechargeable battery would have been more convenient. The Shuttle Pro V.2 is primarily made for video editing but it is a perfect tool for using with many other applications. 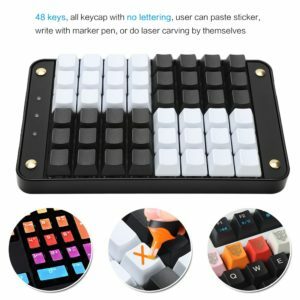 It has a total of 15 customizable buttons with two dials. The buttons and dials can be customized through the driver. The buttons are divided into three separate groups. There are nine buttons at the top which are similar in shape and size. Next two buttons are placed on either side of the dial. In the end, the last four buttons are placed below the dial at an angle. All the buttons are easy to reach and had a sharp click to them. The driver is easy to navigate and the whole setup process takes just a couple of minutes. The inner ring rotates 360° whereas the outer ring is spring loaded. It connects to the computer using a USB cable with no option for wireless connectivity. It has a fairly big footprint and takes up some extra space on the desk. 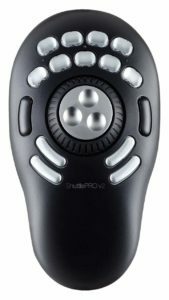 The Shuttle Pro V2 has an ergonomic design and fairly big palm rest – in fact, the whole lower half of the device is just the palm rest. The nine buttons at the top can be popped off and you can place custom notes inside them, which makes it easy to recognize what work they do. Kooletron keypad has the potential of being one of the best Wacom Expresskey alternatives. Most of the other shortcut remote max out at around 20 buttons, whereas the Kooletron comes with a total of 48 customizable buttons. Out of the 48 keys -there are 8 complex macros keys with the configuration software which can take full command of your computer. A macro key can output up to 31 characters. In simple words what it means is – you can programme it for doing multiple actions on a press of a single button. 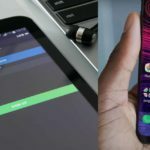 All the key customizations and macro settings are stored within the hardware – which means you don’t need to set things up again even if you change the computer. Although this advance board was made primarily for gaming, it is also perfect for tasks such as photo and video editing and digital painting. It supports multiple profiles and can be switched between using the hotkey. With all these advanced features and these may settings, it can take a while to set up everything. To help you with settings, it comes with an easy to understand driver and user manual which guides you through the settings process. The only downside is the keypad does not come with a dial like the other two options. 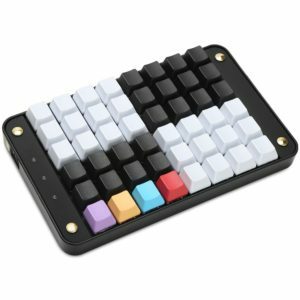 The keypad is compatible with Windows, Mac and Linux. 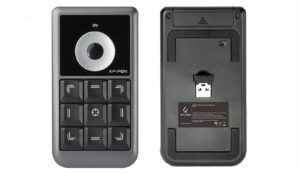 There is nothing wrong with Wacom Expresskey Remote, in fact, it is one of the most premium devices. It sticks on the side bezels of Wacom Cintiq tablets and very smoothly integrates with the whole setup. There are a total of 18 buttons along with a touch ring. All the buttons have different patterns on them which help in recognizing the buttons without looking at them. It connects to the tablet wirelessly and has a rechargeable battery. One of the main reason people look for alternatives is – it is very expensive considering the fact it is just a box with buttons. On top of that, it is only recommended for Wacom tablets – as it causes driver issues on connecting it with other tablets. Overall if you have a Wacom Display tablet and don’t mind the premium price than Wacom Expresskey is the best option for you. Otherwise, you can choose any of the above-mentioned shortcut alternatives which work equally well while being way less expensive.